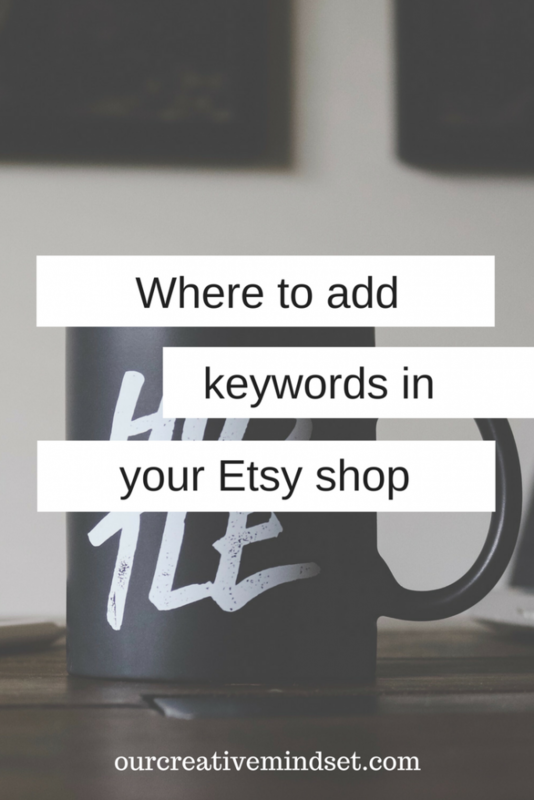 Keywords are an important factor of your Etsy Shop. But why? And how can you use them to your advantage? Keywords are search words. Etsy shoppers use these words, to find the item they are looking for. For example. somebody searches for “personalized ring”. The result is an overview with all personalized rings. The more specific an Etsy shopper gets, the more refined the search results are. 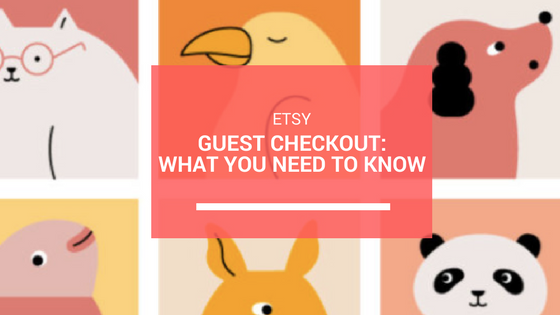 For you, as an Etsy seller, this means that you have to consider which keywords are relevant for the items you want to sell, and you have to add them in the correct places. This is a really important aspect of your store, if you don’t have this in place, the likelihood of not being found will increase. And what a shame of your beautiful products! So how do your start? Think about the items you want to sell. What are they? What are they made off? Are they for a specific occasion (f.e. wedding, birthday)? Is there a specific color you want to mention? Are they personalizable? All of these answers can be a relevant keyword. Don’t forget to use synonyms. For example, a dress can also be a gown. 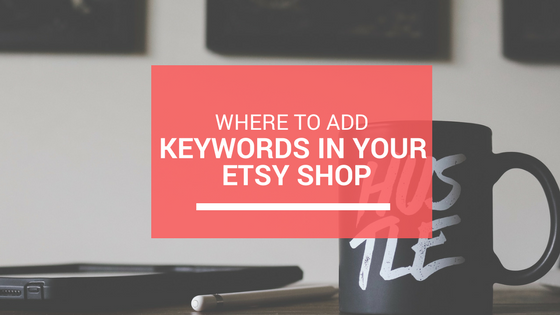 If you want to know what people are searching for, you can add your keyword in the search bar of Etsy. Normally you will get that keyword with some additions, that you can use if this applies to your product. For example if you type in “cards for” you will get several options. It might even spark a new idea! You can see which keywords, shoppers are using to find your items and remove the ones, that don’t bring in the views you want. 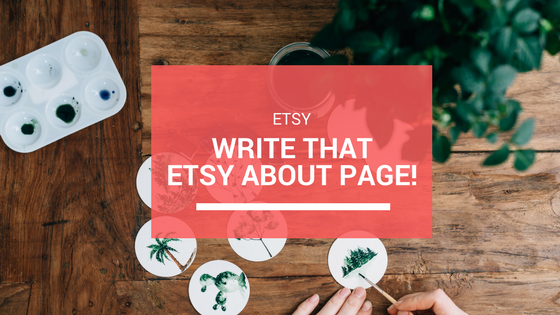 This is an Etsy SEO and Market Research tool. It will provide you suggestions for keywords, let’s you connect multiple shops, and will help you with the trending tags. They have a free option, but if you really want to start working with all the best features, you’ll need a paid subscription. Use the keywords in your title, description, and tags. You might have the urge to be creative with your title and for example, add a name that you gave your painting, but leave that for the description. Your title needs to be convincing, with some of the keywords that you came up with incorporated in the text. Your shop section has a landing page with a page title based on the section name. How you name this, can influence your shop’s SEO because the page title is the text that a person sees in the search engine that links to your shop. Of course, you want to use your keywords as much as possible when you create a shop section like printable kitchen art. You see, keywords are extremely relevant for your Etsy shop. What is your best practice? Please share yours in the comments.